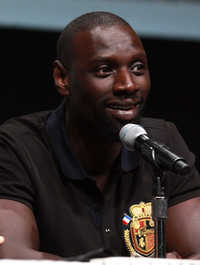 Omar Sy (born 20 January 1978) is a French actor and comedian. He is best known in France for his duo with Fred Testot, Omar et Fred, and for his role in The Intouchables, and internationally for his roles in X-Men: Days of Future Past and Jurassic World. He received a Csar Award for Best Actor on 24 February 2012 for his role in The Intouchables and in doing so also became the first actor of African descent to win the French award. This webpage uses material from the Wikipedia article "Omar_Sy" and is licensed under the GNU Free Documentation License. Reality TV World is not responsible for any errors or omissions the Wikipedia article may contain.